The Cover 4 is bringing you a different approach to today’s major sports topics. 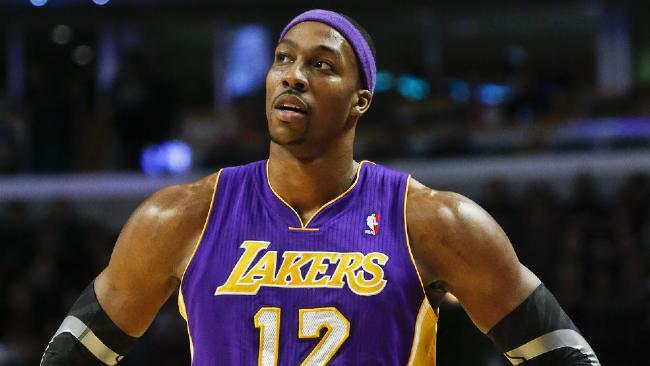 Sammy: I firmly believe there is a chance the Lakers will make the playoffs. With great energy from Dwight Howard, Kobe’s efficiency and HUSTLE defense, they can pull it out. Tye: The Lakers are three games back with only 24 games left. They’re 10-19 on the road and 12 of those games are away. It’s not happening. James: Although I chose the Lakers as preseason favorites, I don’t see it. Houston has the fourth-easiest schedule from here on out. James Harden is playing on a MVP level. Sammy: This team is just now starting to jell. It finally has continuity and the veterans have settled into their roles. They need help, but the Lakers will be doing their part in the race. Tye: It’s taken 58 games to jell? It’s a sub-.500 team and only 6-4 in its last 10 games. The Lakers aren’t suddenly going to dominate the league and roll past Houston. Sammy: To get to a 45-win season, the Lakers need to go 17-7 in the final 24 games. It’s highly possible that Houston or Utah goes 14-10 in that stretch and the Lakers sneak in. Tye: If Utah had traded Millsap or Jefferson I’d say they might slip, but not now. And Houston just beat a top western team in OKC showing it’s here to stay. James: 17-7 the rest of the way? I see at least 10 losses on the remaining schedule. Final three games: GS, SAS, HOU. They will flop at the end. Kobe can’t do it himself. Are the Warrior Sleeve Unis Legit? James: Absolutely! 26 percent lighter, trendy, stretchy, 360 rotation. Did I mention the $115 price tag? Soon all teams will rock these jerseys and money will be made on sales. Sammy: They can make shirts that have all the pros you just mentioned WITHOUT sleeves. Lookout Christmas sweaters, here come “ugly jersey” parties. 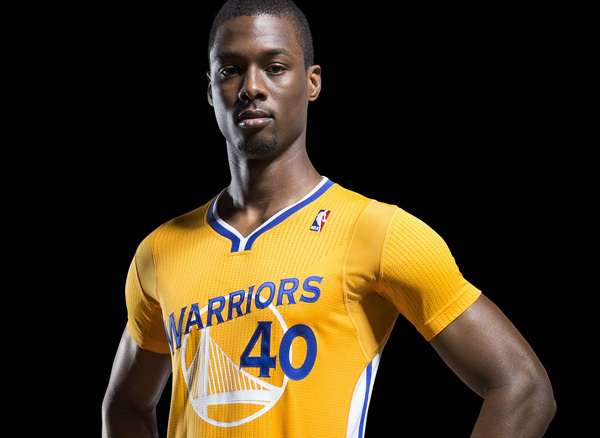 Tye: The Warriors broke into Lance Armstrong’s closet and stole all his yellow jerseys. They beat the Spurs because he had sweated PEDs into all of them. James: Haha. Nicely done boys, but the sleeves are here to stay; the kids are gonna love it. Now you can put those guns away and rock the sleeves with your jersey. Sammy: Honestly what are they thinking? It makes them look like little boys playing against the other teams, which look like beasts. They need to dominate to make a statement like that, not just win. Tye: Going from short shorts to regular shorts was a good move back in the day, but the NBA jersey is something timeless. Some things shouldn’t be changed. James: You guys are missing the point! This is about money. The almighty dollar reigns supreme as this is another selling tool for the NBA. Wait until every team wears them. Sammy: It doesn’t matter about money. The NBA isn’t hurting for cash. What happened to tradition? Basketball holds on to tradition better than any of the major sports. It’s a damn shame. Tye: I agree that the new jerseys will sell. Hell, NBA players wearing rimless glasses made them popular and sell. It doesn’t mean that the product looks good or makes sense though. 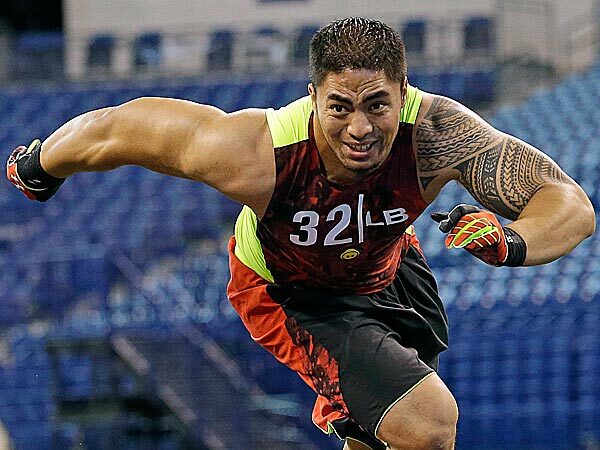 Is Manti Te’o worth a first-round selection? Tye: With his performance against Alabama and his 4.8 40 time, Teo’s chances of being taken in the first round are about as real as his girlfriend. Sammy: I have trouble believing that a spotty performance in the National Championship game and the combine can affect a Heisman candidate that much. James: Sometimes too much emphasis is on combine numbers. He’s a first-round talent but my problem is with how guys will react to him in the locker room. Definitely worth a mid-late first. Tye: You really want to use a first rounder on a player who can’t be an every-down linebacker? The 4.8 shows he’s not going to be able to keep up with NFL receivers. Sammy: AT THE COMBINE, Scouts compared him to Lance Briggs. Briggs is an elite LB on an elite defense without elite speed. Ball speed is different than running in a straight line, which he won’t be called upon to do. James: Plain and simple Teo makes plays. Before the hoax we were talking about him being the first true defensive Heisman winner. Alabama showed some weaknesses but he’s still playmaker. Tye: I see him going late first, early second. When you perform poorly against the best talent, it creates doubt at what you can do at the next level. Sammy: Not enough doubt that he drops that far. He could go in the middle of the first to Tampa Bay or someone that could use the LB boost, or he could take over for Ray Lewis. Regardless, he’s a definite first rounder. James: Reading Kiper’s mock draft, Sammy? The guy is a first rounder but only in the right situation. He needs to go to a team with strong leadership. Letting him slip may help. If Olympian Oscar Pistorius doesn’t get charged with the murder of his girlfriend, is it safe to say that athletes get preferential treatment? Sammy: Pistorius, Lewis, OJ Simpson, Donte Stallworth…what do they have in common? All have been involved in a murder in some way, and all might be off without any major punishment, if any punishment at all. James: Without a doubt athletes get preferred treatment in these situations. If Pistorius gets away with this it will be a travesty. He has a history of violence! Tye: Do athletes get preferential treatment? Of course, but it’s up to the attorneys and juries to come out with the right verdict. So who is giving them the treatment? Sammy: There have to be back alley type plea deals or behind the scenes agreements. There’s no other explanation. The process is corrupt, unfair and it goes against everything a government should stand for. James: Pistorius’ camp is making all the right moves to get him off the hook. He committed a crime, was taking steroids and has a history of violence. He better go to jail. Tye: Did you ever consider that his fame could lead to him being made an example of and increasing punishment? We shouldn’t automatically assume guilt either. Sammy: This argument is based on the assumption he is guilty and not charged. And yes, I’ve considered fame. But that is the same boat the other athletes have been in. Fame has let others off the hook. It has to stop. James: Guilty until proven innocent is the new system. At the end of the day, Pistorius is a local hero and will get away with murder. It’s terrible and pathetic. Tye: Guilty until proven innocent is pathetic. Look how many people have been exonerated by DNA after people assumed they were guilty. Though if he’s found guilty, he’ll do time. For the Fans. By the Fans. Period.